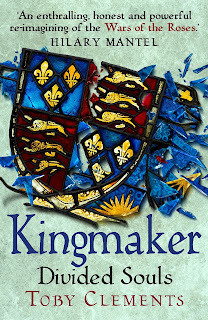 The recent wars between the House of York and the House of Lancaster seem over. The Yorkist King Edward sits on his throne in Westminster, while the Lancastrian claimants are in exile or under lock and key in the Tower. But within the family of York there is discord. 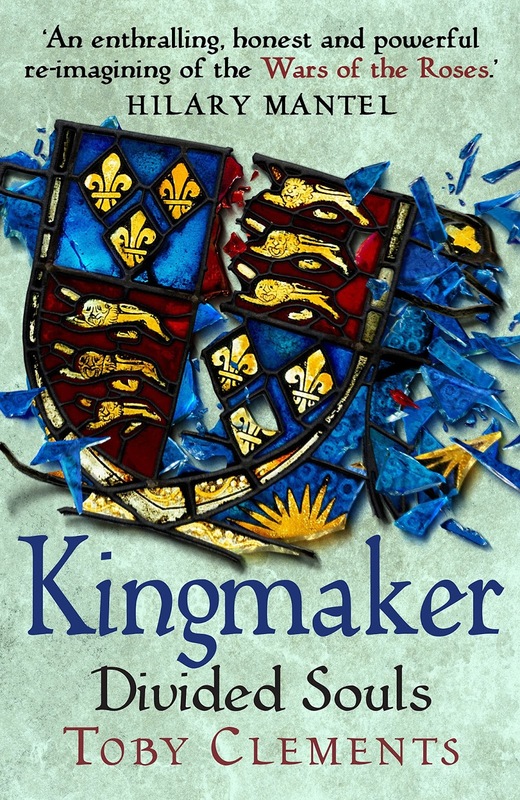 The Earl of Warwick conspires against his King, and while to one another's faces they are all smiles, their household men speak in lies and whispers. No man comes to court unarmed. Thomas and Katherine have returned to Marton Hall, the only home they know. But what lies buried in the past cannot remain so for long, and soon they are forced to take up arms once more in one of the most savage wars in history. The Wars of the Roses . . .
I’ve spent a lot of time in the Cousin’s War over the last few years so I thought that I’d pretty much seen nearly anything that this time period could throw at me so it was with great happiness and surprise when this series from Toby Clements arrived taking the reader into the minds of the common folk rather than concentrating on purely those vying for the throne. 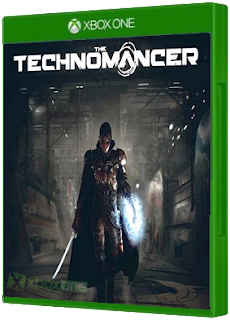 Set on Mars during the War of Water, The Technomancer is the enthralling new sci-fi RPG developed by Spiders studio for PlayStation4, Xbox One and PC. Threatened by the secrets of his past, an aspiring Technomancer must navigate hostile environments searching for answers that could be the key to protecting his future. The Technomancer offers players dynamic RPG gameplay and action-oriented combat along four different skill trees, concentrating on three different fighting styles and the destructive electro-focused powers of the Technomancers. But brute strength won't get you through every situation: conversational dialogue plays an important role in quests, changing the story depending on the decisions you make. Along your adventure, you will craft equipment, weapons and armour for yourself and for the companions you'll recruit, nurturing relationships with these important allies. Confronted with the cruelty of Mars' iron-fist enforcers and alien wild-life, can you survive long enough to uncover the truth behind The Technomancer? Technomancers are "mage-warriors" with an innate talent to harness destructive electricity-based powers using cybernetic implants. Both respected and feared by all, they are formidable warriors trained to fight from a young age. You are one of them, close to passing your initiation rite to become a full-fledged Technomancer. This title from Focus is a title I’ve had high hopes for since seeing the original announcement back in 2015. I loved the idea of a colonised Mars, with corporations treating their workers as little more than slaves awaiting a time when a rebellion would occur from those beneath them. It’s a concept that’s been used before (with Total Recall (1990) and with the water shortage (Tank Girl, 1995).makes this a world that has little hope. Into this scenario enters your Technomancer, Zachariah, a person whose training and magical abilities affects technology. It’s a great concept and with three distinct combat styles there is something for everyone. However this is where I start to have problems. Firstly I wanted more customisation for the character as the options were pretty limited and without being able to personalise my character I felt that I was a little disengaged from the story initially and when added to a combat system that had problems for me, left me feeling a little let down. Each of the three styles were unique and whilst they offered strong options for whatever your game style didn’t feel that it was that complete as the controls were not as responsive as I’d have liked with very limited manoeuvring often feeling that what you told it to do would take a second or two to happen, leaving you feeling very exposed and prone to taking damage that you felt you should have avoided. It seemed pretty basic and whilst I can see the use of a shield and mace or even a quarterstaff, I did feel that as a gamer, a gun with a dagger wasn’t a good combo. After all, looking at this logistically a bullet is a one use item and with shipping would seem a pretty expensive item, whereas if they’d equipped them with a one hand crossbow it would have had a more overall cohesive feel or for the rogue style, double daggers would have generated smoother movement. Don’t get me wrong it is a beautiful game and whilst I easily got lost into the story as well as the landscape, with the combat system feeling scrappy and not as smooth as it should have been (for me) or as progressive compared to others like Assassins Creed or ESO, I feel that seeing as this is a combat game first and foremost it should have been the strongest feature. All round, it is a game that will engage you with the story, you’ll enjoy exploring and with five endings to “earn” it is a title that has replay value however at the end of the day for me, it’s a game that should have been more of a star rather than a middle of the road title that it turned out to be. A great shame. And for Sebastian Bergman that just makes the investigation into who they are, who killed them, and why, even more complex. Because Bergman has, of course, found himself on the investigating team. At first it was a chance to escape his ex-girlfriend and spend some time with his daughter, Vanja. An opportunity to try and build a relationship with her before it's too late. But soon he finds that he's more involved than he would ever want to be. And his personal life is horribly, disastrously, tangled up in it all . . . If there’s one thing that I happen to love Crime wise, its spending time with the Scandinavians. They know how to scare the crap out of me with murder, they know how to set the scene and for me, the descriptiveness of the landscape sells it delightfully to me every time as I tend to feel that its quite a harsh setting for an even hardier people. 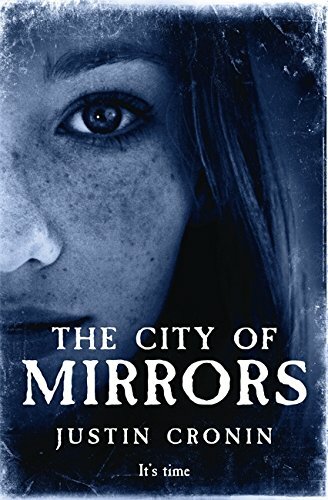 What this book presents is a tale that is thought provoking, has some solid twists and when added to characters that I wanted to spend time around generated a tale that was a solid offering. That said, the ending didn’t feel quite right for me as a reader, whether this is due to a translation problem or it was rushed to hit a deadline I’m not sure but I will read future outings by this duo. 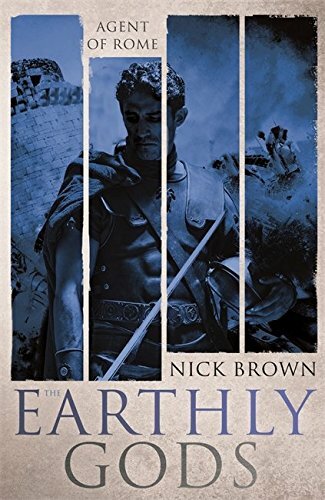 The third and final outing in Justin’s Passage trilogy and to be honest its been a series that has kept readers glued with each instalment. 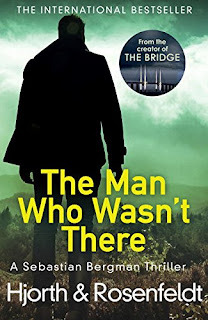 Whilst the original, The Passage was released way back in 2010, its been a series that has had readers gripped from the beginning. The writing is crisp, the concept delightful, but for me, what Justin does best is bring his characters across to the reader. They are people that you can’t help but create bonds with, characters you care about and above all else a cast that you worry about who will live or die based on the whim of the author. 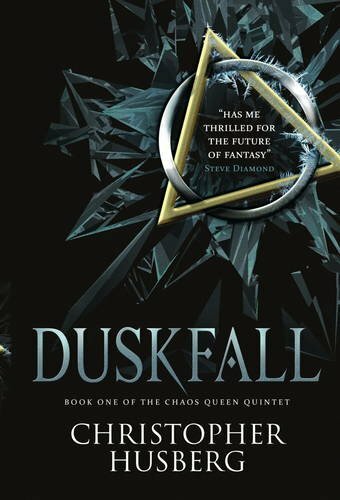 Add to this great dialogue as well as a plot line that keeps moving with wonderful highs and epic lows, all round make this a series that you have to sit down to devour. For me, the only downside is that they are doorstoppers and as such a huge weight, that said, a kindle makes light work of it all. Great stuff. A fast-moving, filmic and violent SF thriller, perfect for fans of Jack Campbell. A meeting of The Road and Rogue Trooper. Barricade introduced artificial lifeform, Kenstibec. Steeple saw him reduced to the level of humanity. Now Kenstibec must fight his way to the home of the man who created him and the other Ficials. The man who tipped the world into war and sealed humanity's fate. Can Kenstibec win a future back for man? Jon Wallace has written a series of short, high-action yet thoughtful SF thrillers. Controversial yet full of dark humour these are rewarding SF thrillers that echo the pleasures of noir and bring a sharp new perspective to British SF. 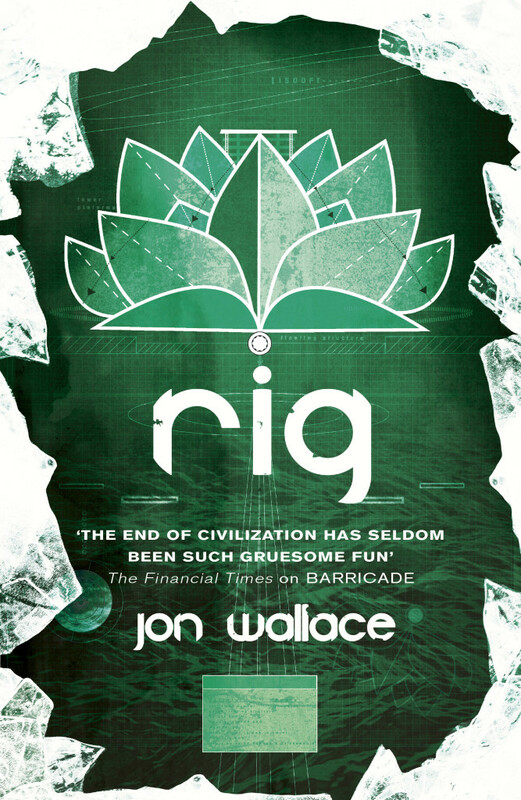 To be honest I spend a lot of time reading post-apocalyptic titles and whilst this is the third book in the series by Jon, I’ve had quite a lot of fun reading Jon’s work as I love the humour within which when blended with a host of characters that keep the world evolving make this something of a joy to sit down with. As with previous outings, the prose is sharp, the dialogue wonderfully involving for the reader and when backed with a writing style that is addictive makes this a series that’s a joy to spend time around. Back this up finally with a good few twists, some cracking highs and lows and all round cracking concepts make this a series that’s a treat. Cracking. Imperial agent Cassius Corbulo is about to go rogue. His bodyguard, Indavara, has been kidnapped and has seemingly vanished off the face of the earth. Having spent weeks trying to discover his fate, Cassius's time is up: his superiors want him to return to duty. But when an old ally's daughter is enslaved, he feels obliged to repay a long standing debt. Refusing the offer of a prestigious post, Cassius - and his Christian servant Simo - join nomadic chieftain Kabir and a trio of warriors, determined to rescue the missing girl. Now operating outside the law, the unlikely band journey across the perilous plague-ridden hinterland of Asia Minor, hunting the slavers. But these are no common criminals, and Cassius finds himself up against ruthless, cunning men with powerful friends and a lot to lose. Nick Brown is an author that I’ve loved since I read his original novel in the series. I love the way he brings his characters across and the way he has developed them from the very beginning. Here within this, the sixth outing, we have our principle character Cassius thrown a curveball as his ex-gladiator bodyguard is kidnapped. It leaves him in one hell of a situation and whilst he wallows in his own pity, a request for aid from an old friend soon has him bucking his idea’s up. As with the other books, it’s well thought out. Gives the reader plenty of meat to chew on and backed it up with solid prose alongside dialogue that trips off the page keeps you glued as you seek to find out more as its gently teased out to you. If you haven’t read Nick’s work before, start with the first book and you’ll soon see that you’ll be as addicted to his series as we are. Pulled from a frozen sea, pierced by arrows and close to death, Knot has no memory of who he was. But his dreams are dark, filled with violence and unknown faces. Winter, a tiellan woman whose people have long been oppressed by humans, is married to and abandoned by Knot on the same day. In her search for him, she will discover her control of magic, but risk losing herself utterly. And Cinzia, priestess and true believer, returns home to discover her family at the heart of a heretical rebellion. A rebellion that only the Inquisition can crush… Their fates and those of others will intertwine, in a land where magic and daemons are believed dead, but dark forces still vie for power. I’ve been a follower of Titan for a number of years and whilst a lot of people mainly know them for their graphic novel titles, I’ve always loved spending time with the stories that they release under their own label. They’re full of adventure, have great twists and of course give the reader something special to spend their time with. Whilst I’ve not heard of Christopher before this, with Titan giving them full backing and requesting that I spent some time with his work, I picked the title up and was not only surprised at the maturity behind the writing but loved the way that the author wove the various multiple threads into a cohesive tale which not only helped flesh the world out but gave the reader a whole heap of characters that they could associate with. All round it’s a book that is a cracking start to a series, has the reader asking a lot of questions alongside getting to know the world in which the people inhabit and to be honest the only gripe I really had was the way that the principle characters powers were unveiled which felt a little forced considering how they were revealed. That said, I did have a lot of fun reading this and its definitely a series I’ll be savouring with each release. Magic.